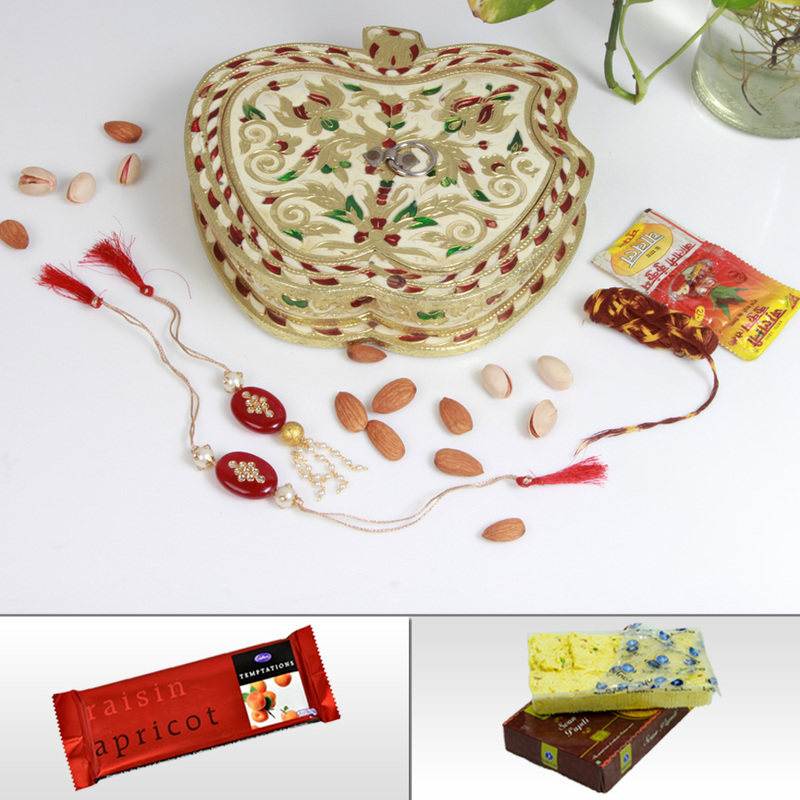 Sisters can make their brothers feel special on the auspicious day of Raksha Bandhan regardless of how far they might happen to be from each Read More..other by gifting this special Fancy Rakhi for Bhaiya with dry fruits box combo. 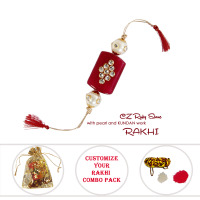 They no longer need to fret about being far off, because this combo contains designer Rakhi meant to produce a wide grin on the lips of their brothers when they receive this from their dear sisters. Moreover, this combo includes 200 gm of mixed dry fruits to keep the festive spirit up with the help of these delicacies. 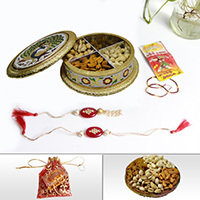 Finally, Roli Moli and Chawal ensures that the combo of Fancy Rakhi for Bhaiya with dry fruits become the best possible choice for the occasion. Show Less..